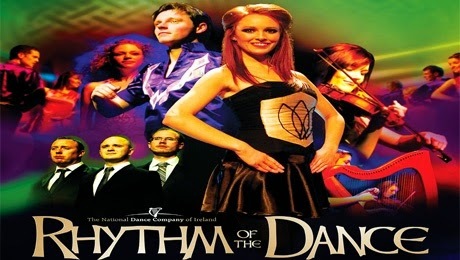 The National Dance Company of Ireland will now bring their resplendent and rousing Step Dance show, Rhythm of the Dance, featuring The Young Irish Tenors, to the Theatre Royal Glasgow on Sunday 31 August 2014. This incredible live show celebrates both the rich history of Ireland as well as the art of Irish dance, from the disciplined tradition of the Celtic Step, to the sensual moves of the Sean Nos dance, rooted solely in the ancient island of Innishbofin near Galway. Rhythm of the Dance is in its 15thyear and has been seen by over 4.8 million people in 59 countries, including the United States, China and Russia, but has rarely visited the United Kingdom. Rhythm of the Dance celebrates a renewed vigour in Irish culture, embracing the traditional and the current, presenting dance, song, and musical performances in a pure style. The cast of 19 dancers, 5 musicians, and 3 singers are a travelling carnival of working class Irish talents, most of whom have been performing since they were four or five years old. The dancers are led by Marty McKay, who also danced in Michael Flatley’s Lord of the Dance. The Young Irish Tenors are accompanied on their powerful and moving songs of celebration and hope by the five musicians on stage, who play on rare and haunting musical instruments such as the Celtic Bouzouki, the Cittern, the Octave mandolin, the melodeon (Irish accordion), Tea whistle and Pennywhistle flutes, century-old harps, banjos, fiddles, guitars and various hand drums.